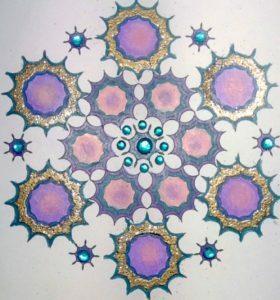 What did you do before discovering the world of adult coloring? We’re learning that many colorists have been involved with another creative hobby before getting addicted to coloring. It’s scrapbooking for Robin Petersen Wilson. We noticed the extra touches, sticker gems and such, that Robin uses to enhance her colored pages. 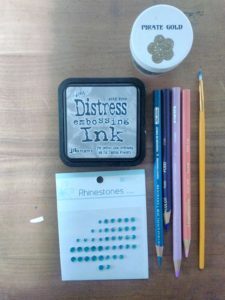 We’re happy to share these step by step tips from Robin who has successfully married her love for scrapbooking and coloring. Enjoy! Prismacolor pencils in pc1079 blue violet lake, pc1026 grayed lavender, pc105 turquoise cobalt, pc928 blush pink. 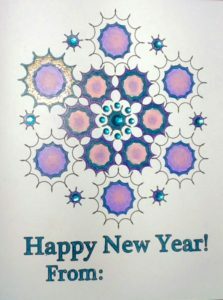 First color your your card as you desire, leaving any areas to be embossed blank. 2. 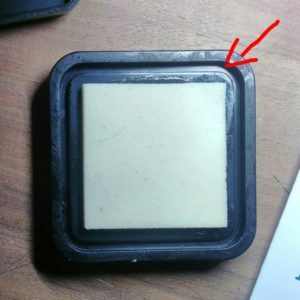 Take your embossing pad and press your finger down at the corner until some of fluid comes out of the side and sits on the casing. See arrow in close up. 3. Dip you paint brush into this and paint the area you wish to emboss. 4. 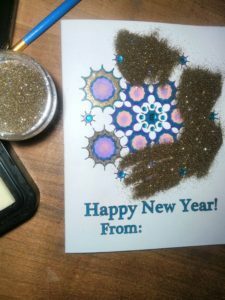 As you paint it will be clear but shiny, you can paint the whole card before you add the embossing powder as the embossing ink stays wet until it is heat set. 5. Pour your powder over the ink and shake it around a LITTLE, then pour the excess of the card. Tap the card on the table to get any extra off that might stay behind. 6. Now you can take your paint brush and clean up you edges, as you can see from the top burst to the bottom I just took it and push everything gently back in to the lines. 7. Use your heat gun to process the embossing powder. It will turn shiny as it melts, remember to keep the gun moving so you don’t burn anything. When I first tried I was worried about what the heat gun would do to the colored pencils but I saw no difference. 8. 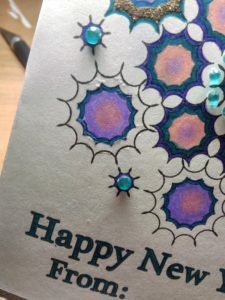 Finished card closer up, After I was done, I took the cobalt turquoise and went around outside of each one to finish them off and added the rhinestones. These already have adhesive one the so you just have peel then off and stick them on. What scrapbook supplies you have that you can incorporate into you coloring? Here’s another example. 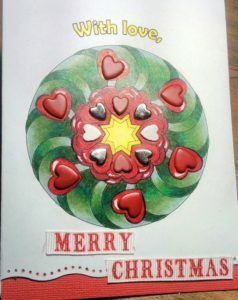 Even just putting the simple heart stickers on this coloring card creates a lovely effect. 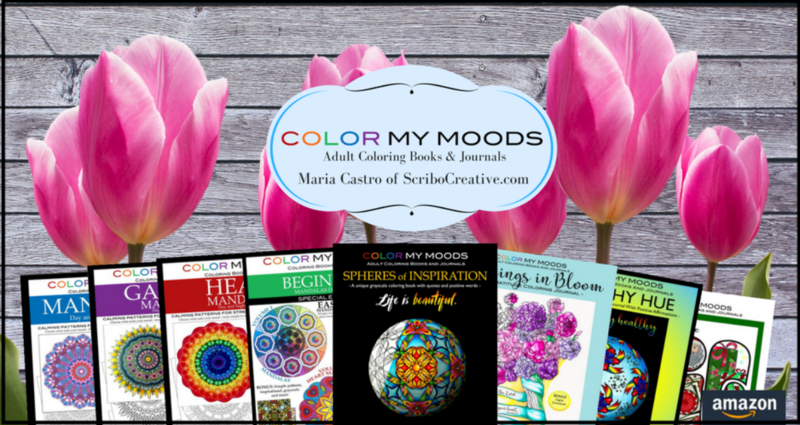 Previous Previous post: It’s finally here — Color My Moods Blessings in Bloom Gratitude Coloring Journal! Next Next post: The BIG Christmas Coloring Book is here!